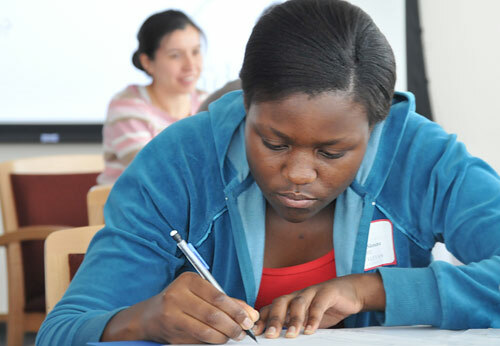 Noreen Nkosana '11 takes notes during the Professional Development Workshop July 24 in Daniel Family Commons. 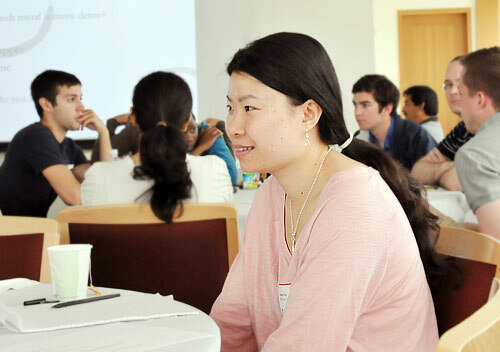 The workshop was designed for students who are considering careers in academia. 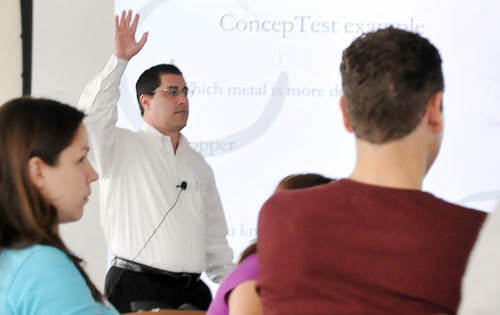 Pedagogy expert and associate professor of chemistry James Zimmerman, center, from Montclair State University and Erika Taylor, assistant professor of chemistry, co-taught the two-part workshop. 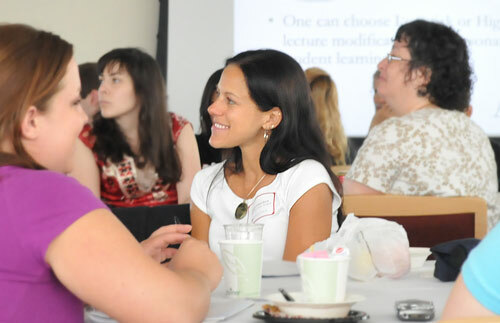 Chemistry graduate student Jessica Fedorchick, center, learns pedagogical and curricular tools used to pique students' curiosity in the classroom.